Enjoying a nice breakfast on a lazy Sunday morning is one of my favorite weekend activities! 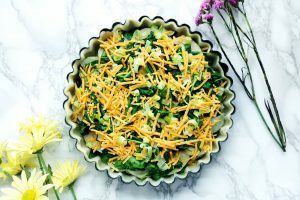 I’m sharing my recipe for a Delicious Layered Potato, Leek and Spinach Quiche that is so easy to whip up the night before. 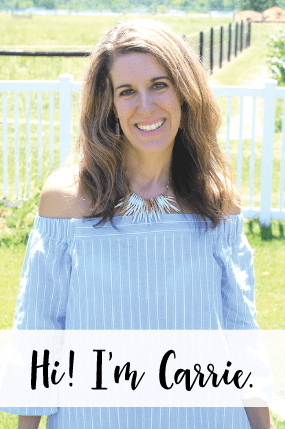 I’m also sharing how nice it is to have Scotch-Brite® Scrub Dots Sponges and Dishwands on hand to make clean up the next day a breeze! 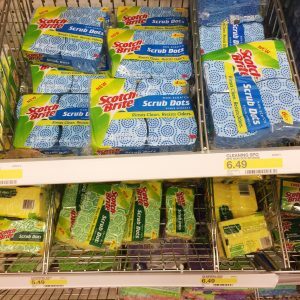 Head on over to Target and in their Sponges and Scrubber aisle you’ll find the Scotch-Brite® products. 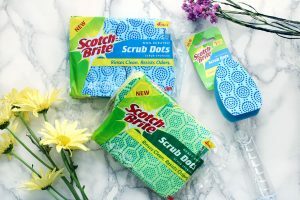 I picked up a Scotch-Brite® Heavy Duty Scrub Dots Sponge, Scotch-Brite® Non-Scratch Scrub Dots Sponge and a Scotch-Brite® Non-Scratch Scrub Dots Dishwand. 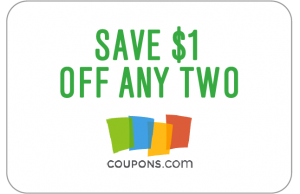 $1.00 off any two Scrub Dots items. 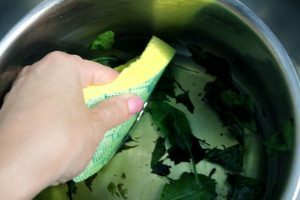 I used the Scotch-Brite® Heavy Duty Scrub Dots Sponge to help me clean this pot that had dried up spinach all over it. I didn’t soak the pot overnight, but I had no problem cleaning the caked on mess with this sponge! 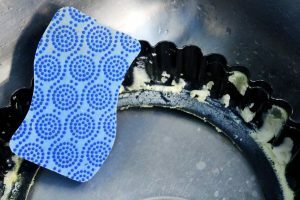 You can eliminate baked-on messes on pots, pans and heavy duty cookware with these sponges. 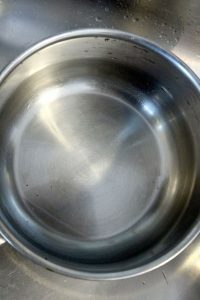 Here is the shiny pot after I cleaned it with the Scotch-Brite® Heavy Duty Scrub Dots Sponge! 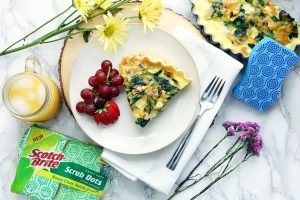 I used the Scotch-Brite® Non-Scratch Scrub Dots Sponge on my non-stick quiche pan. This scrubbed clean fast! I love that it cleans without scratching. You can use it on non-stick cookware, counter tops and cook tops. 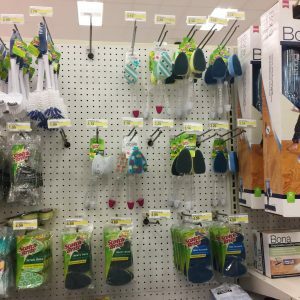 One of my favorite features of this product, is that the Scrubbing Dots technology allows the sponges to rinse clean. Now let’s get to the recipe! 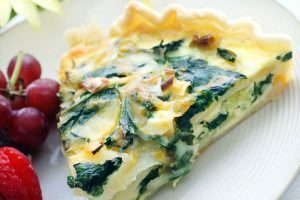 This is my absolute favorite quiche, it is light and flaky and has so much flavor. It is also a non-traditional quiche that you don’t see too often on menus. 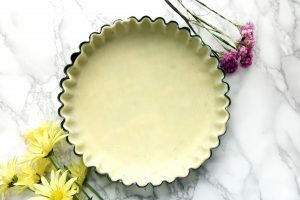 Press a refrigerated pie crust into your quiche pan and set aside. Preheat oven to 350 Fahrenheit. 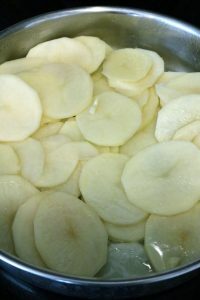 Peel and thinly slice potatoes. Melt butter and oil in pan and sauté the potatoes and garlic for 5 minutes. Remove from heat and pat dry with paper towels. 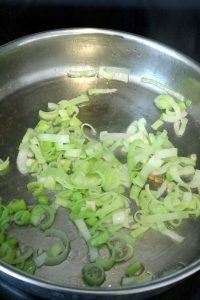 Cook leeks in same pan until soft. 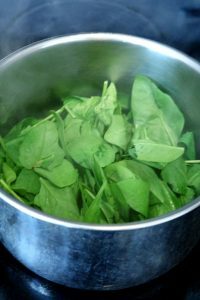 Place spinach in a separate pan, cover and cook for 2 minutes. Spinach will wilt. Now you have everything you need to start layering your quiche! Now you’ll start layering your quiche. 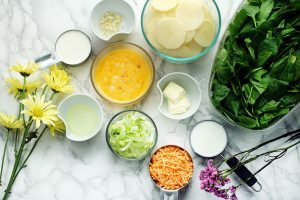 The first layer will be half of the shredded cheese, half of the potatoes, half of the spinach and half of the leaks. Repeat these layers once more. 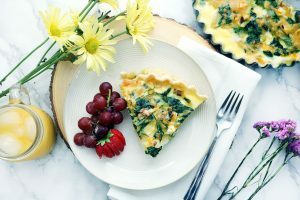 Mix together the eggs, cream and milk and pour over the layered quiche. Bake for 1 hour and 20 minutes, you may need to cover with foil for half of the baking time. This quiche is delicious for a few days after, but it never lasts more than a day at our house. 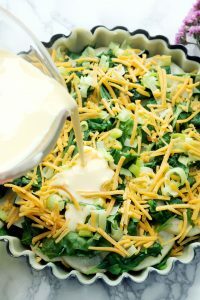 It is delicious and perfect for breakfast, lunch or even dinner! I serve it with fresh fruit or a side salad. Do you have any stubborn dishes that leave you with messy dishes? Be sure to check out Scotch-Brite® Scrub Dots Sponges and Dishwands.